Genuine OEM Black Lexmark 24015SA Toner Cartridge with 2,500 page yield. The laser toner cartridge fits the following model(s): Lexmark E230, E232, E234, E240, E330, E332, E340, E342n. 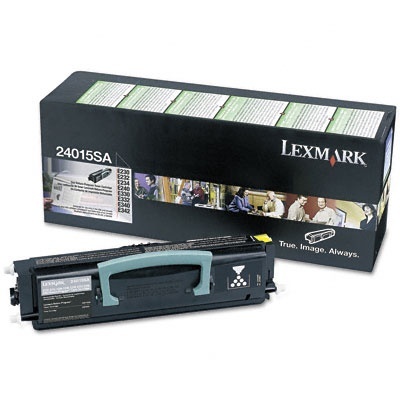 Lexmark part number(s): 24015SA, 24035SA.